So, all my intentions of blogging all of this, have been great. But, have not happened. I have totally relied on Instagram and Facebook for my posts and documenting. Paperwork is moving quickly, and yet, still feels like we hurry up and wait. The last week has been a praying for paperwork to just move week. The two slow periods with our adoption that I struggled with was the wait for our homestudy to be approved, when it sat in the mail room for about a month in Columbia; and the wait for our I800 approval to get from KS to NH, that took 10 days. Obviously, when we were waiting for MJ's referral, it was hard. But, it was different, I understood better that wait and knew God was choosing our child for us. I've got to admit, I've got to work on my patience on the US side. And it's super hard when it's simple timing of just mailing a piece of paper, etc. Here are some links that really help explain all the craziness of the paperwork from LOA (Letter of Approval) to TA (Travel Approval), for anyone who is interested. Since the approval happens, and then is snail mailed, my agency needed a PDF copy of the approval. They don't automatically give you a PDF emailed copy. You have to request it, So, I called and emailed to request it. On Monday, they told me that it'd take up to two weeks and it wasn't ready. But, when I called back yesterday, they told me that my paperwork had been sent to the Embassy on Monday. See how crazy that feels? And I had to call three times in 2 hours because every time I called the full request for a PDF wasn't being submitted. By the way, I'm calling the National Visa Center at this point, in the US. Not anyone in Ch**a and asking for them to give me a GUZ #. Once I had it,I realized I needed to be very specific: "Will you please put in a request for a PDF to be emailed to me, and the email on that account." And then, I needed to say, "So, the official request for the PDF is in the system? Okay, thank you very much." The first time, I got the GUZ#. I don't know why I didn't just ask for the request. The 2nd time, I called they said that the PDF would come. I realized after I hung up that didn't mean that the request was in. So, I called back to confirm the request had actually been submitted, and they said they need a supervisor. I realized he didn't know much about adoption. So, I called back 5 minutes later and got someone else who said he would confirm that request was in. I got the PDF about 20 minutes later. I don't know what worked, the call or the emails. I also did request it by email using the details from China Adoption on how to request it. At first I used the SIM#, then once I asked for the GUZ#, I used that. GUZ#, Travis' Name, DOB, Meili Joy's official name, DOB, and who I was on the case, etc. And here is where we are in the process now, this from China Adoption Online says, and I'm quoting them here; but I added the "**". "After you have received I-800 Approval and have been cabled (and gotten the NVC letter), it's time for your Article 5 letter to be issued by the US Embassy. This is a step that you don't have to really DO anything about, but it is helpful to know what is going on. Once you have emailed your NVC letter to your agency, they will forward it to their in-Ch**a representative. 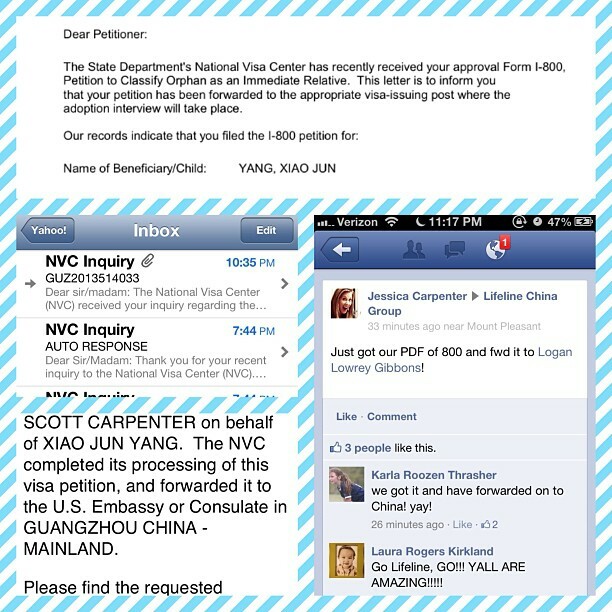 The in-Ch**a rep will take the NVC letter to the US Embassy in Guangzhou along with your DS-230 application and Parental LOA. The US Embassy only allows representatives to drop off the paperwork on certain days." "The consulate needs to review your new child's visa application (the DS-230), make sure it meets the qualifications for an immigrant visa, and then signs off that everything is in order for the adoption to be completed. This is called the Article 5 letter. You cannot obtain custody of your child until the Article 5 letter is issued! Once it's picked up from the consulate, it will be delivered directly to the CCAA for Travel Approval! " And that is all done now. I also forwarded the email to my agency at 10:35 last night, and posted in our Lifeline group that I had sent it. Three minutes later, our Ch**a director told me they had forwarded the document to our agency rep in Ch**a. Seriously, they are amazing! It's kind of nice now, because there is no calling or emailing today. I seem to do well when I can't do anything. But, get all crazy when there is something that is my responsibility, or seems like mine, to get her home. Back to soaking up our time as a family of 4, reading over packing lists, finishing her room, etc. I'll have another more uplifting post to come tomorrow. Hoping this helps others who come behind us. Prayer Requests: These are super specific, and our church is in a series on specific prayer requests, so I'm going for it! My very specific prayer request if for a miracle for TA to still come in time for us to leave my birthday week (ideally leave Feb 22). I know it's more like March 1st right now; but either way, just hopeful. Second specific request, a Tuesday Consulate appointment. It would really help with our donated airline mile and that maybe a flight on AA would open up from GZ to the US without a trip back to BJ. Our third, that I could find a set of Dinio (formerly Sunshine) car seats (two for 2 year olds) and 1 booster bottom for Austin on Craig's list. They aren't very common and I think will fit in one row for our car. Hey, at least, I'm not asking for a used Lexus SUV with a third row or Honda Odessey minivan to show up....I mean, really! Well, I know my blog is long over due for an update, and I promise one is coming. In fact, I plan to over blog in the next 2 weeks. 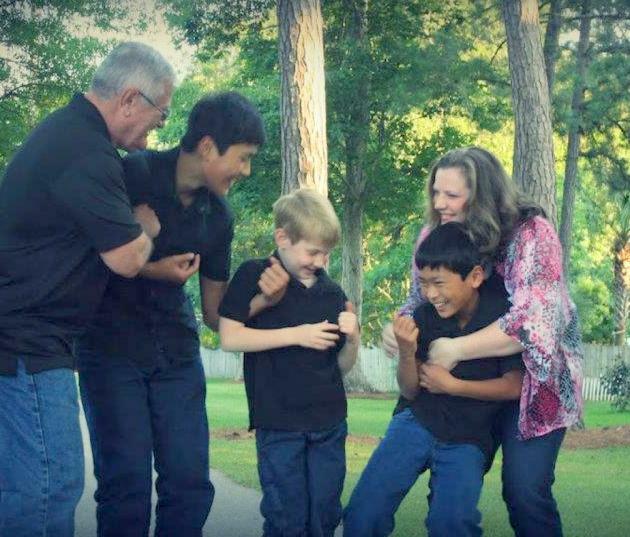 But, in the mean time, I wanted to share about our friends Angie & Tom Rylands and their adoption journey back to Asia for two more, yep, two more older children! I met Angie when she and her husband, Tom, were in the process of adopting Colin and Cameron, two of her (currently) three boys. They were "aging out of the system", and she was racing the clock for both of them because of their age (on paper) stated that they were almost 14. This would mean they are no longer guaranteed a home in the orphanage and no longer adoptable. But, by God's grace, they got the boys home in time. I only knew Angie via email and facebook, until the beginning of last year. But, I followed her journey and her friends journeys, and they welcomed me with open arms into the Ch**a adoption community as we began our journey to Meili Joy. When we finally met in person, it was as if we'd known each other for years. Bottom line, this family gets it. Their hearts are committed not just to their family, but to 100's of adopting families and children and bringing glory to God through it all.In fact, Angie has taken a job as the SC State Director for our agency, Lifeline (and y'all know how much I love Lifeline!). Angie and Tom have been incredible blessings in the Carpenter family's life this year. God even moved them into our neighborhood which means we get a chance to see them a little more often. Justus especially adores Colin, and often asks to "I see Colin?" 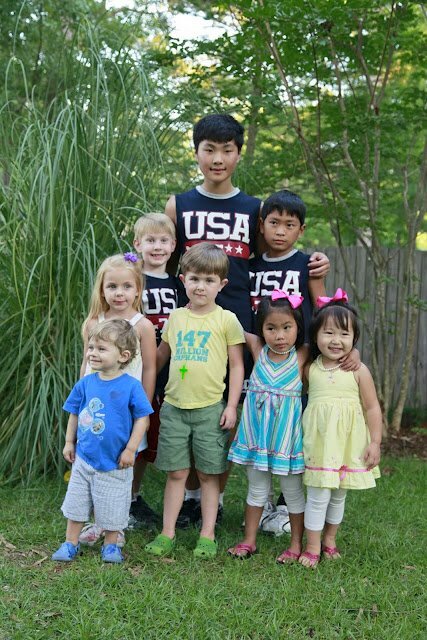 Last spring and this summer, God called their family back for 2 more boys. I remember in April, we were at Together for Adoption Boot Camp in Greenville, and Angie could not put down a picture of another child. We kept just staring at her wide eyed. Really!?! Four boys? Yes, that was God's call. And now it will be 5 Rylands boys, 4 from Asia and 1 from birth. They have amazing stories of how God led all of them to these boys, and you can check out all the details on their blog. Their process is a little different than ours since they met their next two boys from a "Waiting Child List", they did not have as many wait times as we did. So, even though they started a few months behind us, they are on the almost on the identical time table as we are. We may even get to travel together for part of this trip! Here's the catch: since their process goes faster, they have had a lot less time to fundraise. They haven't had 18 months to fundraise, like we have. They've had since this summer, about 6 months, and they are adopting 2 more boys! They have the orphanage fees to cover for both boys as their next step. As I've shared, the orphanage fees are fees that are required and paid to care for children who are not adopted yet. They average orphanage fee is $6,000 per child. There are also 2 extra plane tickets to come home, visas, hotel for about 2 weeks, etc, and travel. So their total need is still over $20,000 and it looks like they'll be approved to travel by the end of February, early March, like we will be. Do I believe it's going to come in for them? Absolutely. Is it crazy to say that? Yes, but after what I have seen God do this year in our own adoption and the support of Journey Together, I know that God is calling so many to give just a little to do something very big! 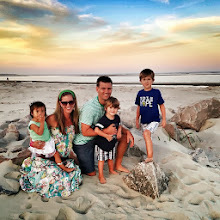 This week, the Rylands are featured on the Give 1 Save 1 Blog. Checkout their story here. 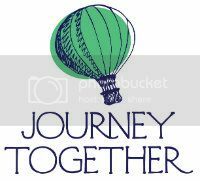 They also have a matching grant from Journey Together for the first $1,000 that they raise. Check out their post, their video and all the fun here! 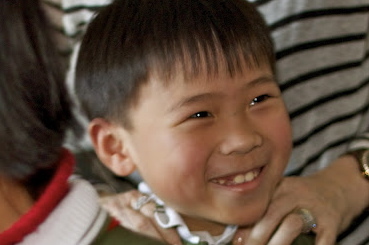 I love Give1Save1: Asia because they are creating a community and habit that continually supports adoptive families, much like what we hope the Charleston community will feel called to do with our Hope Families. I hope that supporting adoptions becomes a normal part of budgets and planning and generous giving, etc. Give1Save1 asks families to log on every week and give just $1 to an adopting family that is featured on their website. So, this week, it's our Rylands! Please pray for this precious family, and if God tugs at your heart to give $1, $5 or more, thank you and please do it! And please never think that your $1 or $2 gift doesn't make a difference. It really does. I can testify to that! Just getting a $10 bill handed to us during this journey has been a crazy encouragement. Thank you for taking the time to read about our special friends and their journey, and thank you so much for your love and support over the last year. P.S. 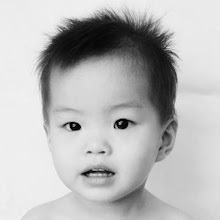 Angie also has some other adoption related fundraisers on her blog. One of them is amazing Goat Milk Soap for $6. It has cleared up some of my skin issues better than anything I've used in ages! P.P.S. Her oldest son, Colin, has his own blog now, too. The link is on her blog! So, there are lots of ways to get involved!